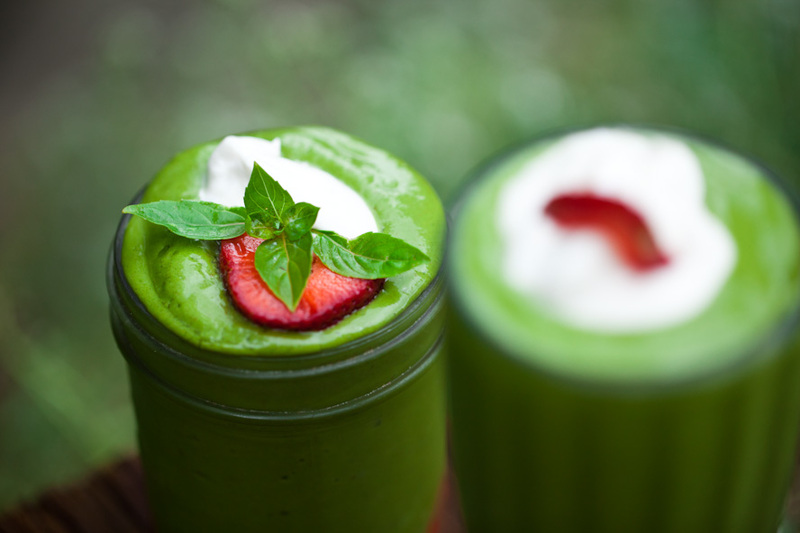 This matcha avocado smoothie has everything you need to start your day off right. It’s creamy, flavorful, full of antioxidants, with just a touch of sweetness and caffeine to boot. I’m obsessed with the bright green color! It’s so lovely with the red strawberries and the smoothie tastes even better than it looks. Matcha + Avocado = Pure Bliss! Antioxidants and healthy fats come together to make this a nutritional powerhouse that just happens to taste incredible. This is by far my new favorite breakfast! Did you make this smoothie? Let us know! Leave a comment and post a photo on Instagram with the tag #carrotsandflowers so we can admire your handiwork! Also follow us on Facebook (Carrots and Flowers) and Snapchat (carrotflow) to see awesome cooking videos and behind the scenes in our kitchen! If you like this recipe, check out our Raw Vegan Chocolate Shake and our Blueberry Cobbler Smoothie!